Dr. Carter is a licensed science teacher, certified STEM instructor and principal; former human resources and diversity program director; and self-described polymath. He has received two awards for public speaking from the Dale Carnegie ® Training organization, and is a Vietnam-era veteran. Cancellation Policy: If notice of cancellation is received less than 48 hours prior to event, and event is not rescheduled, a $250 fee will be deducted from your refund. Rescheduling Policy: If request to reschedule is received less than 48 hours prior to event, there will be an additional $250 charge. Out-of-pocket expenses incurred prior to cancellation will also be charged. 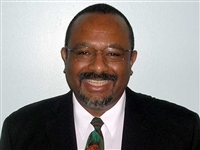 Dr. Carter is a licensed teacher and principal, former human resources and diversity program director, and self-described polymath. He has received two awards for public speaking from the Dale Carnegie ® Training organization, and is a Vietnam-era veteran. The Secret to Being Successful in Anything You Do!